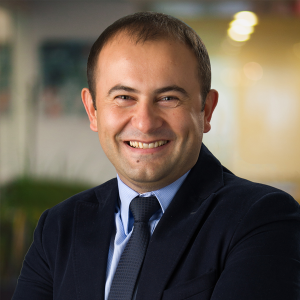 Cluj-Napoca, Romania – July 11, 2016 3Pillar’s SVP of International Operations, Catalin Stef, has been named a Top Young Manager for 2016 by Business Magazine. The magazine recently recognized 100 of Romania’s top young managers and entrepreneurs from different business fields, including IT, banking and insurance, agriculture, and tourism. Cata was among the top 10 managers additionally recognized for having achieved superior business performance and driven change throughout their organization. Under Cata’s leadership, 3Pillar’s Romanian team has grown in headcount from 13 at the time that Cata’s previous company, LeverPoint, was acquired in 2009, to more than 350 today. 3Pillar has also expanded its operations in Romania from one delivery center in Cluj to include an additional delivery center in Timisoara. Cata was recognized at the Business Magazine Awards Gala on Thursday, June 23rd at the Fratelli Social Club in Bucharest. This is the eleventh year that Business Magazine has given out this award and hosted this gala. The full list of awardees will be featured in a special edition of Business Magazine that hits newsstands today. Business Magazine reports and presents business news and events from Romania and worldwide in a clear and accessible manner. For over ten years, Business Magazine has analyzed and accurately reflected the events that have impacted the Romanian economy and business environment.